Mainwaring, Brigadier-General R B Commanding Officer of the 68th (Welsh) Division. Manning, Private Tommy of the 1/4th Welsh, from Llandovery. Markham, Colonel C J Commanding Officer of the 205th Infantry Brigade (2nd Welsh Border Brigade) part of the 68th (2nd Welsh) Division). 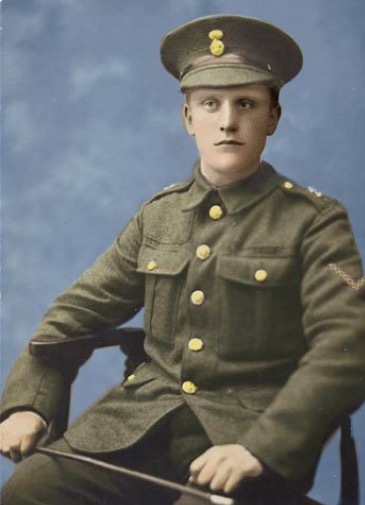 Martin, Private Albert of the Royal Horse Artillery, from Cwmtwrch/Cwmllynfell. McGregor, Sergeant S H from the Aberdare area, who in May 1915 slipped down some steps and fractured two of his ribs. He was lying in Bedford hospital and was also suffering from pleurisy. McInnes, Sergeant of the Welsh Horse. Mead, Private J E of the Brecknockshire Regiment, from Llanwrtyd, whose presence was notable as a bearer at the funeral of the late Mrs Rebecca Roberts, of the Cambrian Mills, Llanwrtyd, in March 1916, he having made the journey from Bedford, where he was stationed, for the purpose of paying tribute to his former employer. Meredith, Private A R from Pentre, Llanfaredd, one of five out of six brothers serving with the colours. Messer, Gunner Richard of the Cardigan Battery, Royal Field Artillery, from Devil’s Bridge. Mogford, Sergeant W of the Divisional Signal Company, who took part in the Easter Monday Eisteddfod in the Skating Rink in April 1916. Monaghan, Private A of the 2/2nd Welsh Field Ambulance, RAMC, who played in a rugby match against the 2/1st Welsh Division Signal Company on 13 November 1915. Morgan, Colonel of the 5th Welsh Battalion, the Welsh Regiment, from Mountain Ash. Morgan, Pioneer of the Divisional Signal Company, who took part in the Easter Monday Eisteddfod in the Skating Rink in April 1916. Morgan, Private A of the Brecknockshire Regiment, from Beulah. Morgan, 1886 Driver Ben of the 1/5th Welsh Transport, 159th Brigade, 53rd Division, who wrote from Egypt in June 1916 to the Aberdare Leader asking if any of its readers could inform him if 3314 Bugler Evan Richard Phillips, A Company, 2/6th Cheshire Regiment, was still stationed in Bedford. Morgan, Lieutenant Edgar with a company of the Brecknocks at Bedford in November 1915 after his promotion from Second-Lieutenant, from Pontardawe. Morgan, Private Richard of the 1/4th Welsh, from Llanwrtyd Wells. Morralle, Private Walter from Llansantffraid, died at Bedford of influenza in October 1918. 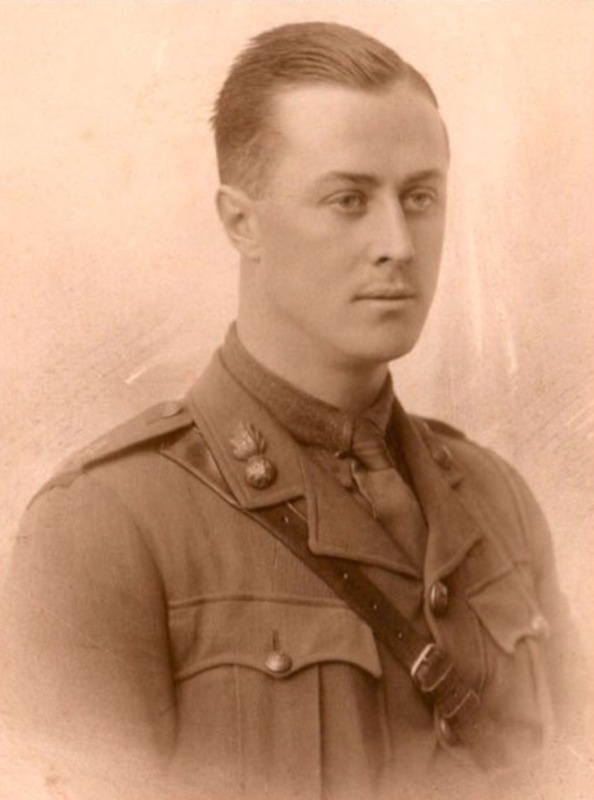 Morris, Lieutenant George Edward of the 1/6th Battalion, Royal Welsh Fusiliers, from Caernarfon, stationed at Bedford before going to the Dardanelles, whose brothers, Robert Parry (below) and Charles Robertson, fought in France. Their story is told in ‘Brothers in Arms‘, and was the subject of a post on this site in November 2015. Morris, Second-Lieutenant Robert Parry of the 1/1st Welsh Carnarvonshire Heavy Battery, Royal Garrison Artillery, brother of George Edward Morris (above), who sang in an open-air concert on Mill Meadows on 5 July 1915, and who fought and died, then an acting Captain, in France. Morris, Private W from Cefn, who had been in hospital at Bedford and was reported in November 1916 to be progressing favourably. 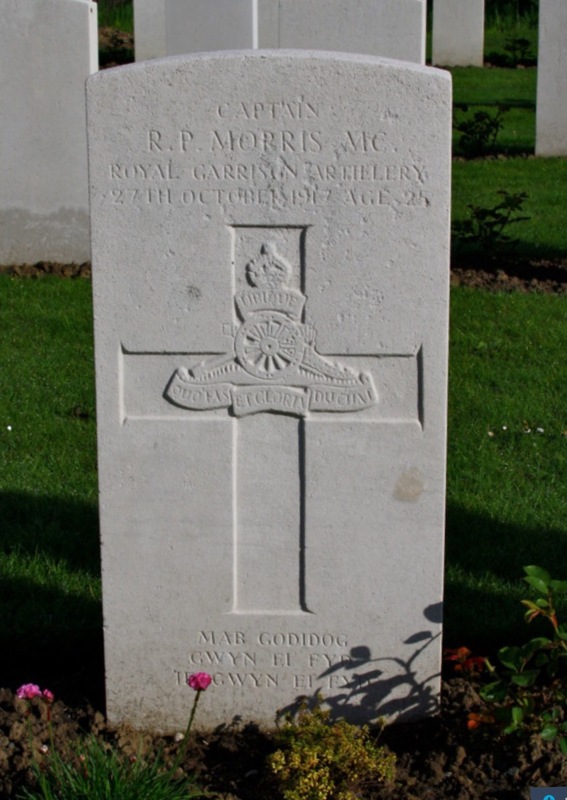 Morris, 3430 Private W of the 2/6th Battalion, Royal Welsh Fusiliers, from Rhosybol, whose poem ‘Teyrngarwch’ (loyalty, allegiance) was published in the Welsh language newspaper Clorianydd of 16 February 1916. Newberry, Gunner of the 1/2nd Welsh Brigade, Royal Field Artillery, who competed in the military aquatic sports in July 1915. Newman, P W G of the 2/3rd Monmouthshires, who took part in the Easter Monday Eisteddfod in the Skating Rink in April 1916. Noote, Sergeant P F of the 2/2nd WF Ambulance, who took part in the Easter Monday Eisteddfod in the Skating Rink in April 1916. Norman, Gunner T of the 1/1st Welsh Carnarvon, Royal Garrison Artillery, who sang in an open-air concert on Mill Meadows on 5 July 1915. Oakes, 1795 Gunner Arthur of C Battery, 341st Brigade, Royal Field Artillery, from Lampeter, died in Bedford hospital on 11 November 1916 aged 45 years. The Carmarthen Journal and South Wales Weekly Advertiser of 24 November 1916 reported the Bombardier Oakes had suffered for some time from rheumatism and latterly congestion of the lungs. He was the most genial of men, a perfect specimen of manhood, being tall and commanding, and had served in the South African war. The military authorities and townspeople of Bedford were extremely kind to Mrs Oakes, and the funeral in Bedford was about two miles long. 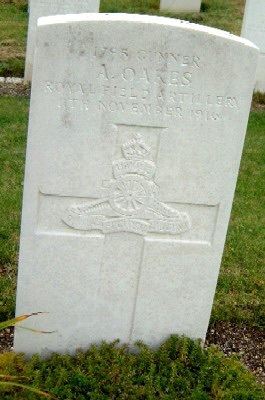 Bombardier Oakes is buried in Bedford Cemetery, Foster Hill Road. Oldham, Drummer F of the 2/6th Cheshires, who took part in the Easter Monday Eisteddfod in the Skating Rink in April 1916. Oliver, Corporal H J of the Headquarters Office of the 68th Division at Bedford, from Haverfordwest, and subsequently promoted, aged 23 years, to Staff Quartermaster Sergeant with the Division Headquarters at Bungay with effect from 1 January 1918. Oliver, Private J extracts from his letters from the Dardanelles to friends were printed in the Haverfordwest and Milford Haven Telegraph of 29 September 1915. O’Neill, 4490 Private Joseph of the 2/6th Battalion, Royal Welsh Fusiliers. Enlisted in Liverpool. Died 9 June 1916 and is buried in Bedford Cemetery, Foster Hill Road. The inquest into his death was reported in the Bedfordshire Times and Independent of 16 June 1916. Owen, Sergeant-Major commanding the bugle band of the 7th Battalion, Royal Welsh Fusiliers, which had been on a two month recruiting tour in North Wales, ending with a visit to Machynlleth in October 1915 on the way to rejoin the Battalion at Bedford. The band’s arrival was unexpected but was met with great enthusiasm and, following an appeal for subscriptions, the band was provided with lunch at the Wynnstay Hotel, with the surplus being used for cigarettes and fruit for the band, as recorded in the Cambrian News Merionethshire and Welsh Farmers’ Gazette of 29 October 1915. Owen, Private Charlie of the 5th Welsh, from Mountain Ash. Owen, Lieutenant Eirwyn Robyns of the Royal Welsh Fusiliers, from Leyn, who went to the Dardanelles, as recorded in October 1915. Owen, Sergeant G A of the Divisional Signal Company, who took part in the Easter Monday Eisteddfod in the Skating Rink in April 1916. Owen, Driver H of the 1/1st Welsh Carnarvon, Royal Garrison Artillery, who sang in an open-air concert on Mill Meadows on 5 July 1915. Owen, Corporal RJ who won three first prizes in the athletic sports held at Kempston, Bedford, in August 1915. 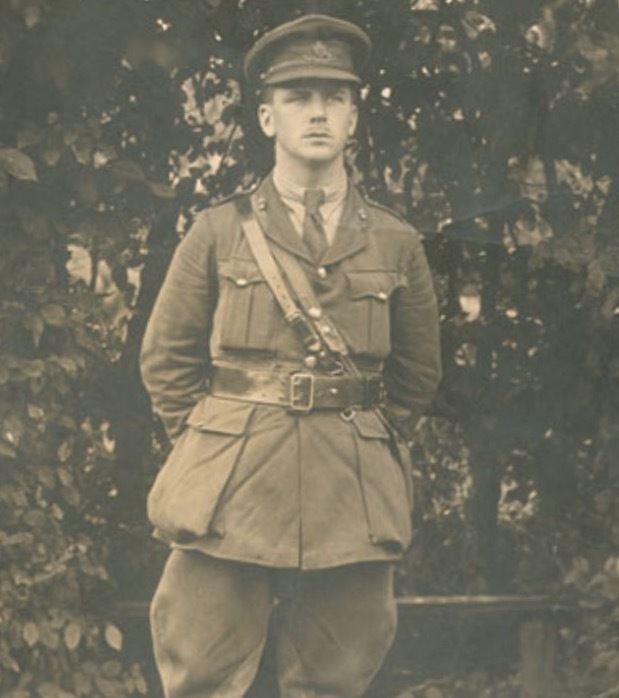 Owen, Lieutenant Reginald J of the Brecknockshire Territorial Force, from Builth Wells. Oxenham, Private Willie of the Royal Engineers, from South Africa. Though born in Africa, and a married man with three children, he felt it his duty to fight for the Old Country, and having spent six months training at Bedford, had leave to visit Carmarthen and Llandilo before going to France. His father, Mr Wm Oxenham, was the eldest brother of Mrs E A Roberts of the Nag’s Head, Llandilo and had married the daughter of Mr Thomas, late of the Green Post, Carmarthen, before going to South Africa many years before. An article on ‘A fighting family’ detailing the service in the forces of Private Oxenham’s various relatives was included in the Amman Valley Chronicle of 10 May 1917.